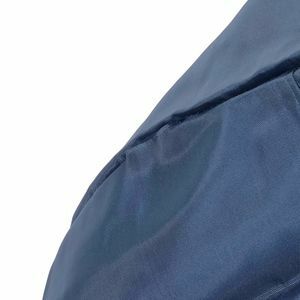 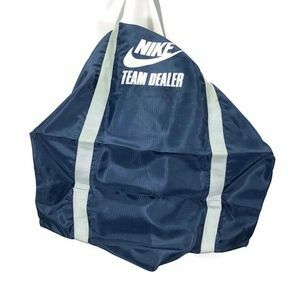 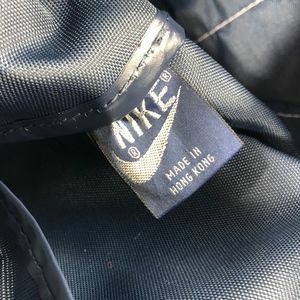 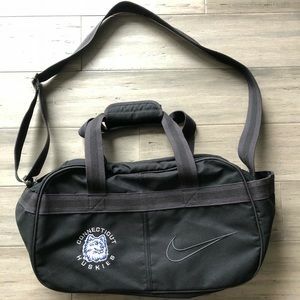 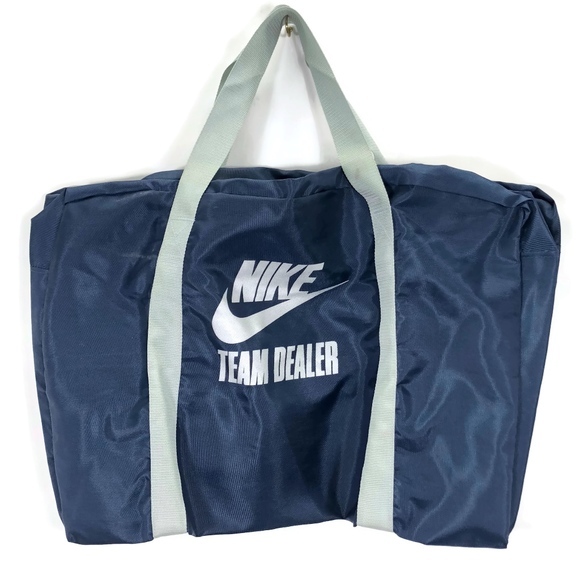 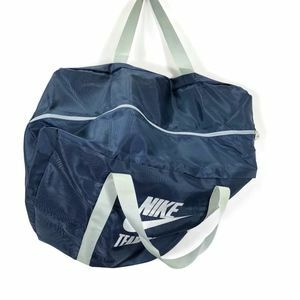 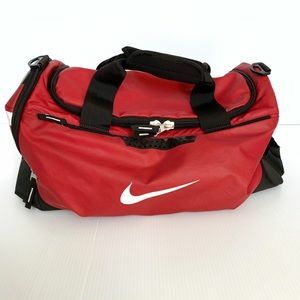 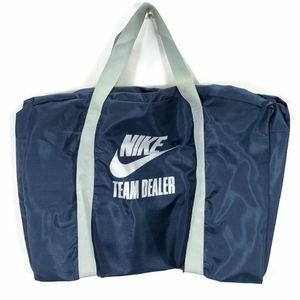 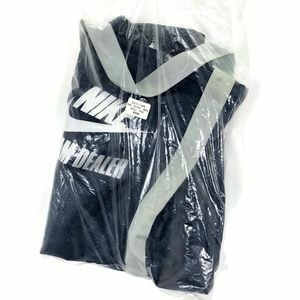 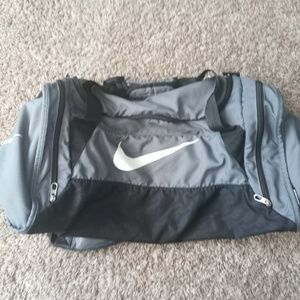 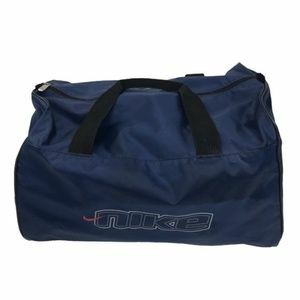 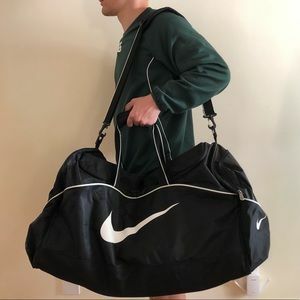 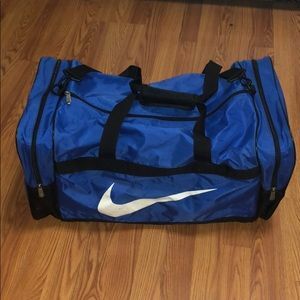 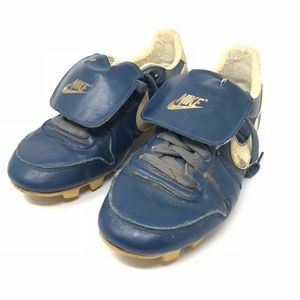 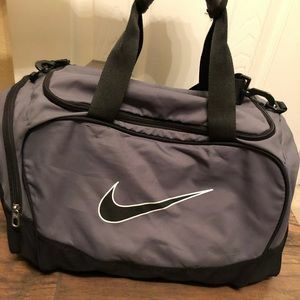 Nike Duffel Bag Team Dealer Navy Blue Silver Style 7F2263 Vintage Measurements 25 Inches Long, 11 Inches Wide, 14 Inches High. 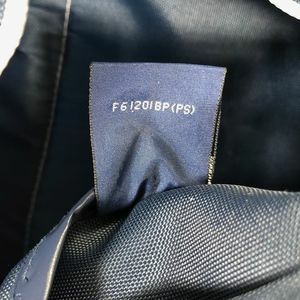 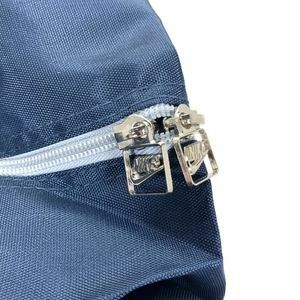 This bag does have a two inches seam that has come unsewn, on the side. 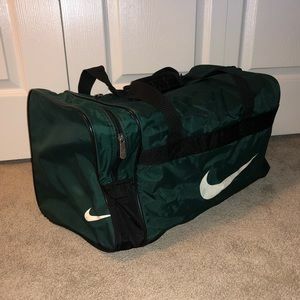 Could easily be repaired.